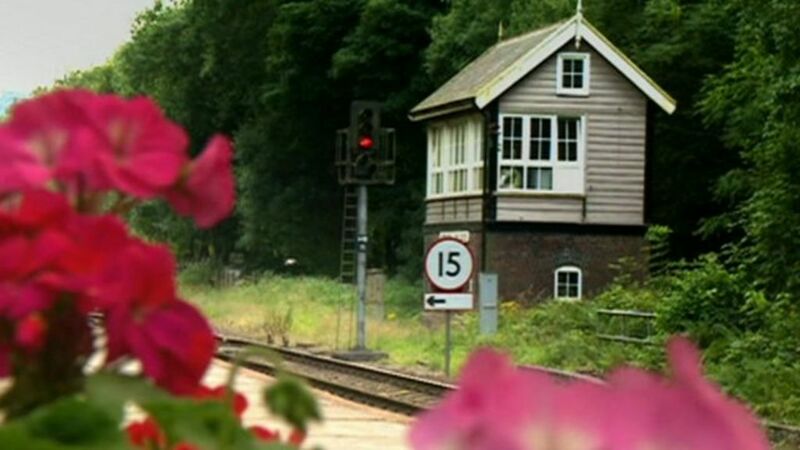 Some of Yorkshires signal boxes are more likely to be protected for future generations after they were awarded listed status. The era of the old fashioned signal box might be coming to an end but an agreement has been reached to save the best of them from demolition. A Manchester bound service, formed by Northern unit 158872, passes the signal box at Hebden Bridge as it draws to a halt in the Up platform. The box has recently been refurbished and controls colour light signals on a section of the Calder Valley line. One of the declining number of level crossings with gates still operated mechanically by wheel. The 1873 signal box and level crossing alongside the former station at Weaverthorpe on the York - Scarborough line, seen here looking north on 2 October 2008 with a regular user about to cross. Falsgrave signal box at the entrance to Scarborough station on 3 October 2009.